A fun way to bring nature inside! This 4 oz. Sprout Pouch helps you grow your very own mini garden at home or in the office. Each Sprout pouch kit comes with a special, leak-proof grow pouch with a seed pack, growing & draining mediums, and instructions. Simply cut off the top of pouch, add your seeds, and give your plant plenty of water and sun! Replant as desired. 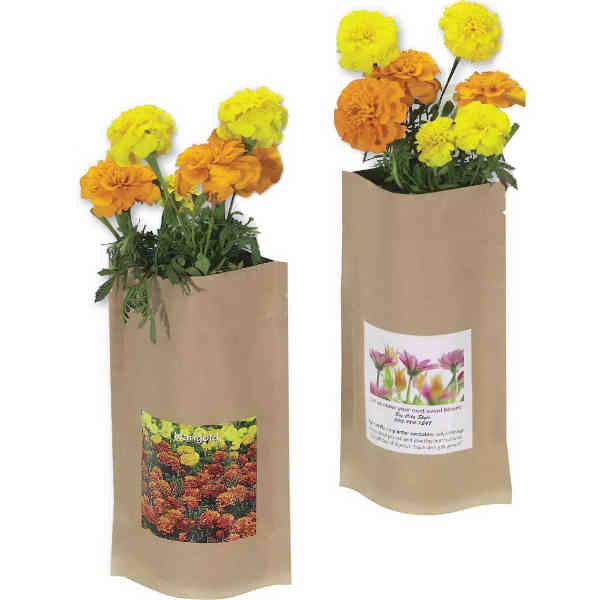 A great promotional product for landscapers, this pouch comes with your full color logo or messasge printed on the front label and a graphic of the chosen plant is placed on the back of pouch. 5"W x 8"H.